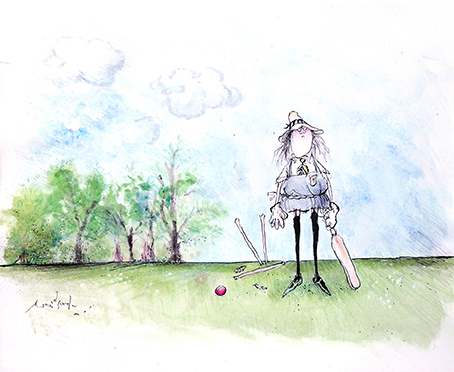 Ronald Searle has been called one of the greatest satirical cartoonists of the 20th century. Best known in England for his wildly popular St. Trinian’s cartoons featuring a fictional English girls’ school, and his work here in the States for publications such as The New York Times, Life and The New Yorker, there is no doubt you have already seen and admired his work. 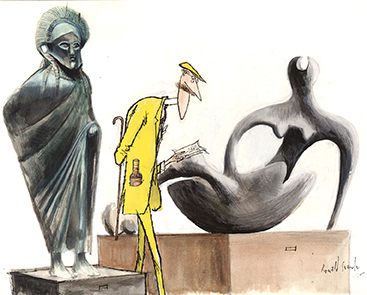 An impressive collection of Searle’s work is being cared for by Robert Forbes and more than 80 pieces are on display as part of “The Wit and Wisdom of Ronald Searle, a selection from the collection of Robert and Lydia Forbes” currently at the UConn Library. An author of children’s poems, Forbes began the process of producing his first book by searching for the best possible illustrator out there, and for him the answer was Ronald Searle. “So I just asked” quipped Forbes. “I have learned in life that if you don’t try, you will never know what could have been.” From there a remarkable collaboration was born. The Forbes collection goes far beyond the whimsy of his children’s books to capture the full range of work shaped by, in many ways, a life that saw the worst of humankind as a Japanese prisoner of war during World War II. His pieces consistently show his interest in the human condition, illustrating how others see us and how we see others, all delivered with a sharp humor. This exhibition spans Searle’s career including the St. Trinian’s series, early success as a magazine and book illustrator, work for movies and businesses such as Lemon Hart & Sons, and a few of his famous drawings of cats. 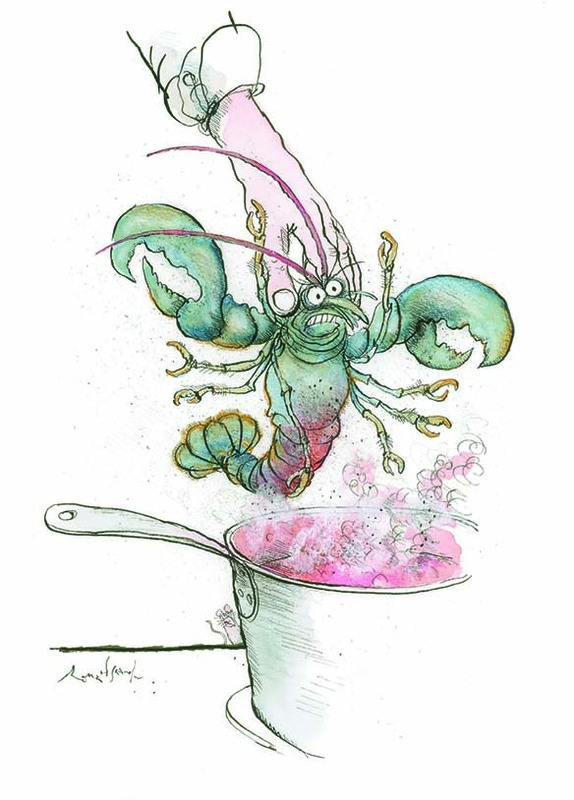 Additionally, children of all ages will be delighted in the softer, whimsical imagination of Searle through pieces from his collaborations with Mr. Forbes. At the time of Searle’s death in 2011, they were working on a forth book of poetry in the series, Captain Puss, and a selection of these unpublished pieces can also be found in the exhibit.